The CBOE Volatility Index (VIX) climbed 18 percent to a record 75.46 in afternoon trading on Friday. The VIX averaged 60.15 this week. This is nearly triple the 18 year average of 22.39. 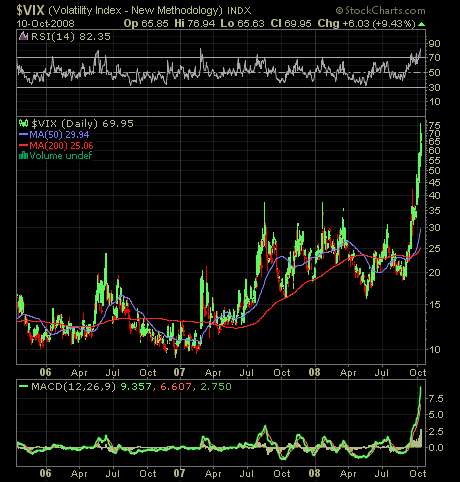 Prior to this week the VIX had never topped 50.